We’re heading into the first weekend of May and it seems as if the year is flying by. That doesn’t mean, however, that you can’t take advantage of everything the cities, towns and villages of the 88th Assembly District have to offer. So slow down and enjoy the weekend. Here’s a closer look at some of the events that are taking place in the 88th. Have a good weekend and remember that if you have an event you’d like me to include in the coming weeks, send the information to Paulina@NYAssembly.gov. Scarsdale Synagogue Temple Tremont and Emanu-El will host “Paint Night” at 6:30 p.m. at Painting With A Twist (365 Central Park Avenue, Scarsdale). Create your own works of art and enjoy some light refreshments. Visit sstte.org for more information. The Bereavement Center of Westchester (670 White Plains Road, Suite 213, Scarsdale) will hold the second of three workshops designed for adults who wish to express their feelings through writing about loved ones they have lost. “Healing Words – The Power of Positive Writing” will run from 7-8:30 p.m. with a subsequent meeting on May 11. Contact PDiscenza@lawrencehealth.org or call 914-787-6158 for more information. SEPTA – The New Rochelle Special Education PTA will host its “We Are One” Dinner from 6-9 p.m. at The VIP Club (600 Davenport Avenue, New Rochelle). Visit newrochellesepta.org for more information. The Westchester Italian Cultural Center (One Generoso Pope Place, Tuckahoe) will present “Cooking With Nonna” at 7 p.m. Rossella Rago, who hosts the Cooking With Nonna web series and is the author of the Cooking with Nonna Cookbook, will lead the demonstration. Visit wiccny.org for more information. The Beth-El Synagogue Center (1324 North Avenue, New Rochelle) will kick off its 31st annual Spring Film Festival Dinner-Theatre with a showing of “Trumbo”, starring Bryan Cranston, Diane Lane and Hellen Mirren, at 6:30 p.m. Visit bethelnr.org for more information. Rabbi David Schuck and Dr. Carol Diament will present “Jewish Life and Thought in Eastern Europe” at Beth-El Synagogue Center (1324 North Avenue, New Rochelle) at 9:30 a.m. A coffee breakfast will follow. Visit bethelnr.org for more information. The After Dark Book Club will meet at The Pelham Library (530 Colonial Avenue, Pelham) for a 7:30 p.m. discussion about “Under The Udala Trees” by Chinelo Okparanta. Visit pelhamlibrary.org for more information. Carolyn Vega of the Morgan Museum and Library will discuss the life and poetry of Emily Dickinson at Concordia College’s OSIlas Gallery (171 White Plains Road, Bronxville) at 7 p.m. Visit concordia-ny.edu for more information. The Tuckahoe Library (71 Columbus Avenue, Tuckahoe) will celebrate Japanese Children’s Day from 11:30 a.m.-2:15 p.m. with music, storytelling, sushi and more. Visit tuckahoelibrary.org for more information. The Westchester Community College (75 Grasslands Road, Valhalla) Friday Night Film Series continues with a presentation of the Iranian film “About Elly” at 7:45 p.m. It’s the story of Elly and her mysterious trip to Tehran. Call Bob Bruckenthal at 914-723-3186 for more information. The Picture House (175 Wolfs Lane, Pelham) will present “Improv and Sketch Comedy” at 1:30 p.m. Pelham’s talented group of middle and high school students will perform. Visit thepicturehouse.org for more information. The Westchester Reform Temple (255 Mamaroneck Road, Scarsdale) will host The Israel Block Party at 6:15 p.m. There will be special music, food, wine tasting and more. Visit wrtemple.org for more information. Trolley Series at 5:30. Take a trolley tour of several historic mansions, enjoy some light refreshments while listening to The Lickety-Split Band. Visit bartowpellmansionmuseum.org for more information. The White Plains Performing Arts Center (11 City Place, White Plains) will present the three-time Tony Award winning musical “Urinetown” at 8 p.m. on Friday and Saturday and again on Sunday at 2 p.m. Visit wppac.com for more information. 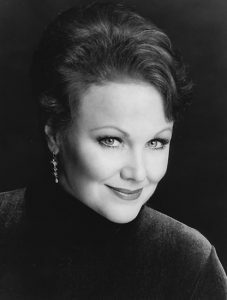 The Hoff-Barthelson Music School will continue HB Artists Series at The Greenville Community Church (270 Ardsley Road, Scarsdale) with an 8 p.m. performance by soprano Jenny Hayden. Visit hbms.org for more information. The Friends of New Rochelle Library Bog Book Sale will take place at the library (1 Library Plaza, New Rochelle) from 10 a.m.-4 p.m. on Friday and Saturday. Visit nrpl.org for more information. The Alliance Francaise of Westchester (31 Mamaroneck Avenue, White Plains) will host “An Evening With Yvette Yche” from 7-9:30 p.m. Yche will interpret classic French songs. There will also be dinner and wine. Visit afwestchesterny.org for more information. Jazmyn will perform at Alvin & Friends Restaurant (14 Memorial Highway, New Rochelle) from 7-10:30 p.m. Visit alvinandfriendsrestaurant.com for more information. The Bronxville Historical Conservancy will host “A Golden Interval: The Kennedys in Bronxville” at 3 p.m. in the Yeager Room of the Bronxville Library (201 Pondfield Road, Bronxville). 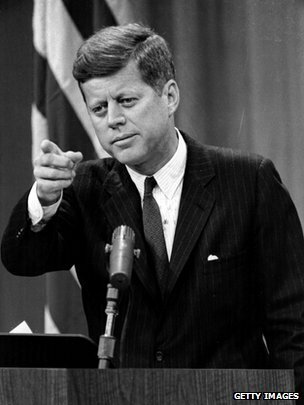 Westchester County Historical Society board member and JFK Library Foundation member Anthony Czarnecki will host the lecture as part of a celebration of the centennial of John F. Kennedy’s birth. Visit bronxvillehistoricalconservancy.org for more information. be furniture, house wares, estate items, art, books, toys, electronics, clothing, linens, lunch and more for sale. Visit scc-ucc.org for more information. The Reformed Church of Bronxville (180 Pondfield Road, Bronxville) will host The Weekend of Bach Festival from 3-4 p.m. on Saturday and Sunday. Visit reformedchurch.org for more information. The Bartow-Pell Mansion Museum (895 Shore Road, Pelham Bay Park) will host a Kentucky Derby Party at 5 p.m. There will be jazz, juleps and prizes for the most ornate hats. Visit bartowpellmansionmuseum.org for more information. GirlAgain Boutique (4 Martine Avenue, White Plains) will host “A Gift For Mom; My Doll and Me” workshop at 11 a.m. Make a special gift for mom for Mother’s Day. Visit girlagain.com for more information. The Westchester Italian Cultural Center (One Generoso Pope Place, Tuckahoe) will present “The Three Crowns of Italian Literature and Poetry” at noon. Learn about Dante, Petrarch and Boccaccio in this discussion led by Toni McKeen. Visit wiccny.org for more information. The Symphony of Westchester will perform an 8 p.m. “All-Romantic Concert” at Iona College’s Murphy Auditorium (715 North Avenue, New Rochelle). Visit thesymphonyofwestchester.org for more information. ArtsWestchester (31 Mamaroneck Avenue, White Plains) will present “Drink and Draw: A Mad Hatter Tea Party” from 6:30-10 p.m. Drinks provided by Diner Brew Co. Visit artswestchester.org for more information. The Charlie Rhyner Quartet will perform at Alvin & Friends Restaurant (14 Memorial Highway, New Rochelle) from 7:30-11 p.m. Visit alvinandfriendsrestaurant.com for more information. The Jill E. Solomon Bicycle Helmet Day will take place at Delfino Park (110 Lake Street, White Plains) from 10 a.m.-noon where bicycle safety will be the discussion topic. Visit cityofwhiteplains.com for more information. The West Center Congregational Church (101 Pondfield Road West, Bronxville) will host a spring tag sale from 10 a.m.-3 p.m. and again on Sunday from 12:30-3 p.m. Visit westcenterchurch.org for more information. The Bronxville Women’s Club (135 Midland Avenue, Bronxville) will host a Kentucky Derby Party from 4-7 p.m. Visit bronxvillewomensclub.org for more information. Scarsdale Synagogue Temple Tremont and Emanu-El (2 Ogden Road, Scarsdale) will host “The Parents Circle: For Non-Jewish Parents Raising Jewish Children” from 9:30-11 a.m. Visit sstte.org for more information. The Young People’s Chorus of New York will give a 3 p.m. concert at The Asbury-Crestwood United Methodist Church (167 Scarsdale Road, Tuckahoe) as part of the Music at Asbury Series. This is one of the premier children’s choirs in the country having won five gold medals at last year’s Golden Gate International Choral Competition. Visit musicatasbury.com/concert-calendar for more information. The Spirit of the Songcatchers Brunch will take place at The VIP Club (600 Davenport Avenue, New Rochelle) from 11:30 a.m.-2:30 p.m. Celebrate the after-school music program’s 20th anniversary and honor its founder, Sr. Beth Dowd. Visit songcatchers.org for more information. Shaarei Tikvah (46 Fox Meadow Road, Scarsdale) will host a 30th anniversary concert for Cantor Gerald Cohen at 7 p.m. The concert will feature prominent performers, cantors and the Westchester chapter of HaZamir, the International Jewish High School Choir. Selections will span Jewish traditions, Broadway, the Great American Songbook, operatic gems and Cantor Cohen’s own compositions. Visit shaareitikvah.org for more information. The Scarsdale Congregational Church (1 Heathcote Road, Scarsdale) will conduct “A Blessing of the Animals” at 10 a.m. Visit scc-ucc.org for more information. The Bartow-Pell Mansion Museum (895 Shore Road, Pelham Bay Park) will host author Sergey Kadinsky as part of its Author Spotlight Series at 2 p.m. Kadinsky will discuss his book “Hidden Waters of New York City”. Visit bartopwellmansionmuseum.org for more information. The SOOP Acting Company will present “The Emperor’s New Clothes” in three performances (11 a.m., 1 p.m., 3 p.m.) at The Manor Club (1023 Esplanade, Pelham Manor). Visit sooptheatre.org for more information. The Playgroup Theatre (One North Broadway, White Plains) will present “Children of Eden”, a relevant spin on the book of Genesis, at 2 and 7 p.m. Visit playgroup.org for more information. The Bronxville Women’s Club (135 Midland Avenue, Bronxville) will host photographer Nick Fanelli in an opening reception from 2-5 p.m. Visit bronxvillewomensclub.org for more information. The New Chorale Society will perform “Jubilation! Works for Chorus, Organ and Brass” at The Hitchcock Presbyterian Church (6 Greenacres Avenue, Scarsdale) at 4 p.m. Visit hitchcockpresby.org for more information. Tony Award-winning actress Alice Ripley will coach the Hoff-Barthelson Music School voice students in a public lesson at The Scarsdale Library (54 Olmstead Road, Scarsdale) at 2 p.m. Visit hbms.org for more information. The New Rochelle Opera will perform scenes from popular operas at 3 p.m. under the direction of Camille Coppola at Iona College’s Murphy Auditorium (715 North Avenue, New Rochelle). Visit nropera.org for more information. Bicycle Sundays return on the Bronx River Parkway from 10 a.m.-2 p.m. between the Westchester County Center in White Plains and Scarsdale Road in Yonkers. The 13.1 mile loop will be open to bikers and closed to car traffic. Visit westchestergov.com for more information. The Beth-El Synagogue Center (1324 North Avenue, New Rochelle) will present “See Israel: Share The Love Of Israel Through Support, Education and Engagement” at 2 p.m. Learn about Israeli youth, innovation, reclusion, inclusion and more in this all-encompassing discussion. Visit bethelnr.org for more information. Temple Israel of New Rochelle (1000 Pinebrook Boulevard, New Rochelle) will host a “Brotherhood Breakfast and Discussion” at 9:30 a.m. The topic is “Reducing Wintertime Heating and Summer Cooling Costs”. The program is sponsored by Energize NY. Visit tinr.org for more information. 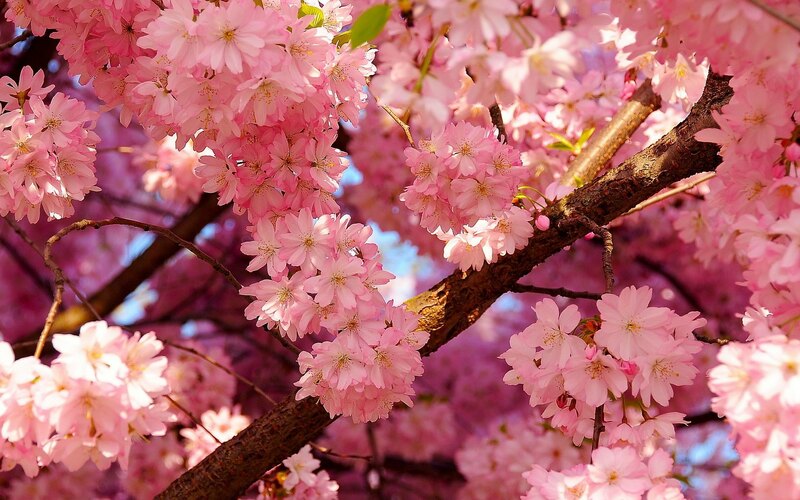 The White Plains Cherry Blossom Festival will take place at Turnure Park (Lake Street and Canfield Avenue) from 11:30 a.m.-5 p.m. There will be activities, entertainment, food and more. Visit cityofwhiteplains.com for more information. The White Plains Cinco de Mayo Celebration will take place from 1-6 p.m. on Mamaroneck Avenue at East Post Road. There will be food, crafts, drinks and live entertainment all day long. Visit wpbid.com/cincodemayo for more information. The Concordia College Tour Choir Pre-Tour Hymn Festival will take place at The Christ Church (17 Sagamore Road, Bronxville)at 4 p.m. Visit concordia-ny.edu for more information. The Gramatan Village May Magic Benefit to Honor Schatze and Peter Thorp will take place from 5-7 p.m. at The Siwanoy Country Club (351 Pondfield Road, Bronxville Road). Visit gramatanvillage.org for more information. The Sarah Lawrence College Chorus and Choir will perform a spring choral concert at The Performing Arts Center Reisinger Auditorium (1 Mead Way, Bronxville)from 5-7 p.m. Visit sarahlawrence.edu for more information. Please visit www.burbio.com/lists/district-88-events for more information about these and other area events. Assemblywoman Amy Paulin respresents the Towns of Eastchester, Pelham, Scarsdale and parts of the Cities of New Rochelle and White Plains.